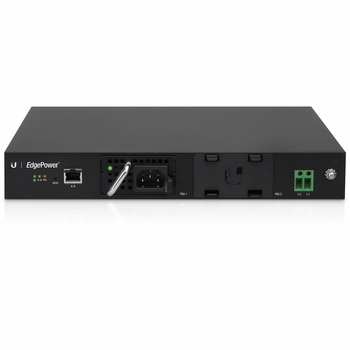 The EdgePower is a high-power, modular PSU system designed to connect to EdgePoint routers/switches and provide reliable power to attached PoE devices. The EdgePower consists of a rack-mountable, two-bay housing and control unit, and includes one AC-DC 54V, 150W PSU module. The second PSU bay can house an AC-DC or DC-DC PSU module (sold separately).